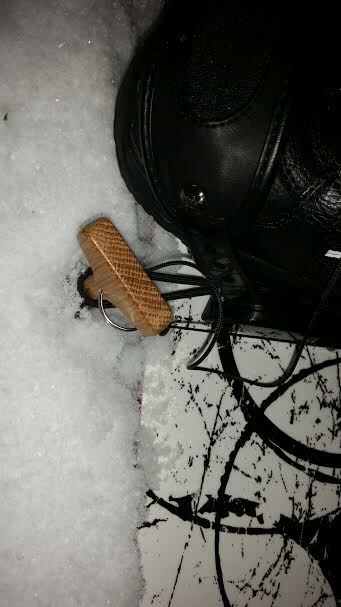 How to place SBStop™ in the snow. Place stake, tip first into snow. 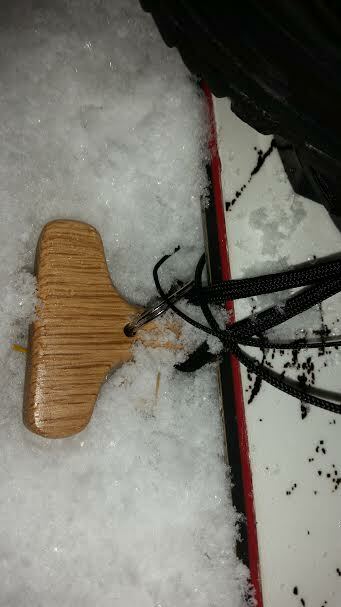 Place stake through Anchor rope loop and then under the snowboard edge.